Due to its up-roaring popularity, there are numerous tools that have jumped on the bandwagon and have started to recognize themselves as the best Scrum tools. The criterion for best Scrum tools is simple enough. The tool that fits perfectly with your project needs, helps you in effectively achieving your sprint goals, and doesn’t put a dent in your budget. So, to make things easy for you, we have compiled a list of best Scrum tools that’ll take the burden off your shoulders and help you with choosing ‘the best one’ for your team. Primarily a project management software, the tool provides a unique set of features which make Scrum implementation painless for you. The only tool that comes with a myriad of features to manage every aspect of your project, and that too without any complicated add-ons. Simpler project management for Scrum teams, absolutely free! 5 workspaces, meeting management, project Gantt charts, bug and issue tracking and a lot more. You’ve likely heard of Jira. It’s one of the most widely used agile tools for Scrum, so without a doubt, the second spot in this list goes to Jira. Targetprocess is one of the most flexible agile tools available in market. It can be adopted by organizations of any size and for any agile framework, including Scrum, which is why it made to our list of best Scrum tools. Coming with a high degree of customization, Targetprocess can be implemented easily on multiple levels of an organization- from a small team to a large enterprise. The tool provides customized visualization functionality too which makes it convenient for the users to get transparency while viewing all kinds of project reports. On the 4th place, we have VivifyScrum. 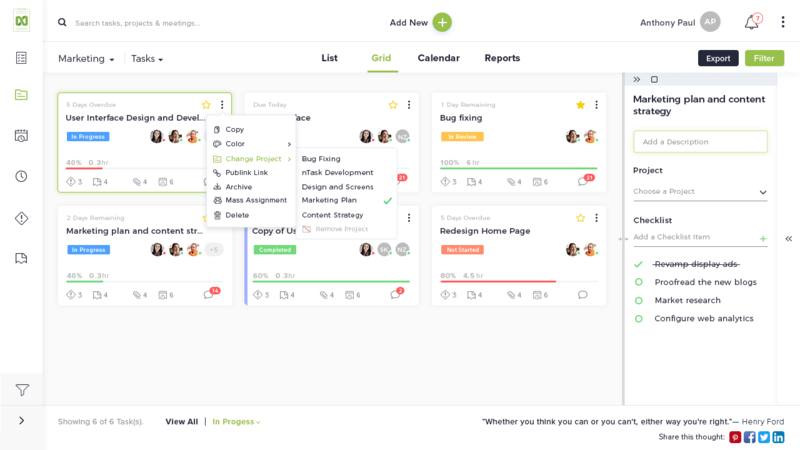 Coming with features tailored to the needs of Scrum and Kanban methodologies, VivifyScrum is a rather easy to use software that comes with a clean and clutter-free interface, making it aesthetically appealing too. VivifyScrum also provides online Scrum trainings free of cost, in case you want to educate yourself or your team about Scrum. On #5 of our list for the best Scrum tools is QuickScrum. A web-based tool coming with a simple drag and drop interface for easy backlog management, QuickScrum is one of the most user-friendly tools available online. With an interesting list of clients to bag, this tool can be your next choice for easy Scrum implementation. While tools like Jira can be complicated for new users, QuickScrum can be an easy to use alternative that’s quick to set up too. Yodiz is one of the most comprehensive Scrum tools you can opt for. The tool comes with a rich feature set fitting perfectly with your team needs. The elaborate toolkit allows you to manage your epics, backlog, sprints, and releases without getting into the hassle of third-party add-ons. A module for epic management lets you track your feature requests in a better way. You can set priorities to define urgency for your team members, so they have a better picture of what needs to be done in due course of time. Burndown charts let you evaluate the amount of work that remains during a project lifecycle. Furthermore, these charts and other project metrics allow you to effectively track your releases and manage sprints accordingly. The next best Scrum tool we’ve reviewed here for you is ScrumDo. Another pretty powerful Scrum tool you can try right now. The tool’s core features enable you to implement Scrum as smoothly as possible. The powerful reporting capabilities of ScrumDo let you systematically monitor your project performance with much more accuracy. These reports include lead time histogram, burndown and burnup charts, cumulative flow diagrams, and much more. The project timeline allows you to keep your project deadlines in check and make informed decisions whenever required. In addition to that, the dashboard view lets you quickly glance at your project performance, so you know where your projects stand at the moment. As the name suggests, Pivotal Tracker is an agile project management tool which lets you track your project performance as effectively as possible. The tool comes with all the essential features you need to manage your agile team successfully throughout the project lifecycle. Through a shared and prioritized backlog, you can collaborate with your team on what needs to be done in due course of time. This also helps with understanding each and everyone’s role in achieving project goals. Other noticeable features this Scrum tool comes with are user-story tracking, iteration management, multiple performance tracking reports, and third-party application integrations. In short, Pivotal Tracker has got you covered! Next tool to make it to our list of best Scrum tools is Scrumwise. It is a simple and intuitive tool that comes with dedicated Scrum features to help you achieve your sprint goals effectively. The tool has a simple interface which further makes it a go-to tool for Scrum implementation. You can create backlog items and categorize them through lists, tags, and filters for quickly accessing them whenever required. You can also conveniently break down your tasks into subtasks and checklists for managing them in a better way. The tool also comes with native time tracking to help you with evaluating detailed time logs of your team members and for billing clients accordingly. Scrumwise gives you option to either pay monthly $9 per user/month, or an annual $7.50 per user/month. Although Asana is primarily a project management software, it comes with some solid features to help you with Scrum implementation, which is why we added it to our roundup of best Scrum tools. Through a vast library of native templates, Asana makes sure you don’t have to plan your product launches from scratch. Easily track your backlog items through Kanban boards. This also helps with identifying any bottlenecks that might be affecting your sprint goals. Furthermore, through project timeline, you can keep an eye on your project schedule. Asana also comes with task dependencies and project milestones which make project performance tracking even more streamlined.